Volunteers are an integral part of Powell Gardens and there are volunteer opportunities available to suit many interests and schedules. All volunteers receive the special perks membership provides which includes free admission, free festival admission, free parking, discounts on programs, classes and special dinners. Volunteers also receive special discounts on purchases in the Perennial Gift Shop and a subscription to the Garden View member publication. Volunteer recognition, volunteer education opportunities and social events are schedule periodically expressly for volunteers throughout the year. We seek and accept applications for our volunteer program year round and schedule interviews with prospective volunteers to best match needs of the garden and expertise of volunteers. If you are interested in volunteering with us, and are 16 years of age or older, please review the volunteer positions described below and complete the online application. This committed group of tour guides engage with Powell Gardens K-12 student and adult tour groups and help them discover Powell Gardens in a whole new way. Garden Guides assist with tours at least twice a month during the peak of the season (April through September) and take part in ongoing monthly training and education seminars, as scheduled, during the year. Guides may choose to specialize in serving K-12 students or adults (or both). Prior knowledge of aspects of botany, horticulture, or gardening is not required, just a passion for learning, engaging others in discourse and discovery, and sharing information about Powell Gardens history, landscape, and collections with audiences of all ages. The next docent training class will begin fall 2019. We will provide guides with ample information about the gardens, its collection, horticulture in general, and additional content related to leading tours for specific audiences and tour techniques. Assist with special events, festivals, programs, classes and workshops by choosing your preferred job and shift. This position interacts with the public in a variety of ways. Jobs may include anything from class registrant check-in to manning craft activity tables, decorating for special events and much more. These volunteers assist our horticulture staff in planting, weeding, harvesting and maintaining our plant collection onsite. 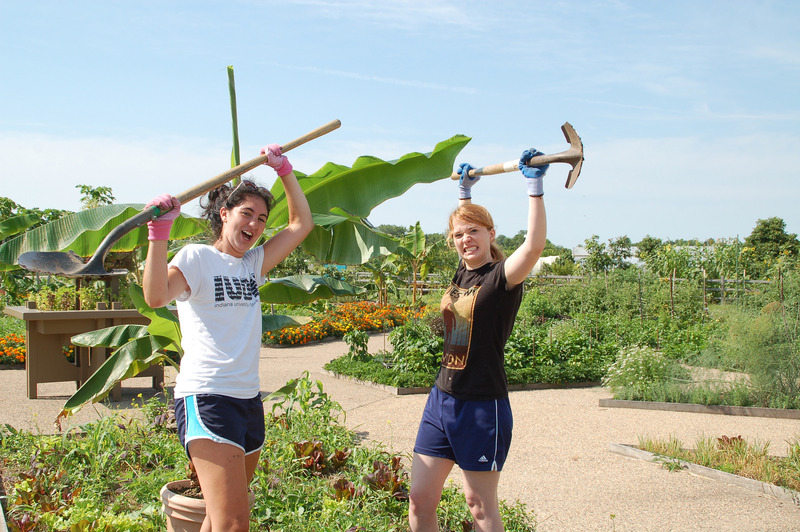 Volunteers may work in the Heartland Harvest Garden, Visitor Center and Conservatory, Island Garden, Beals Woodland and Stream Garden, Perennial Garden, Greenhouses and/or Fountain Garden and Magnolia Walk. Assist with our foodie programs and dinners which help help educate the public about the source of their food and the journey of food from seed to plate. Free Rangers may assist with the CSA (community-supported agriculture) program and support our staff in the development of special food products created using produce from the Heartland Harvest Garden. This seasonal group of volunteers works exclusively and intensively to assist with the hatching and care of our butterflies and moths before and during the annual Festival of Butterflies. These volunteers provide the essential details that give our visitors an extraordinary experience working in the Perennial Gift Shop, reFresh Snack Shop or driving the Heartland Harvest Garden tram. These behind-the-scenes volunteers assist in the administration and maintenance departments in a variety of ways on a weekly or monthly basis year-round or as needed. Many companies offer volunteer grant programs, also known as “Dollars for Doers”? Through these programs, companies provide monetary donations to eligible nonprofits such as Powell Gardens as a way to recognize employees or retired employees who volunteer.